Genson Limited is a specialist contractor dealing with interior fit outs for the hospitality and leisure industries, amongst other sectors. Well known for their commitment to quality and value, the company specialises in fast track contracts. 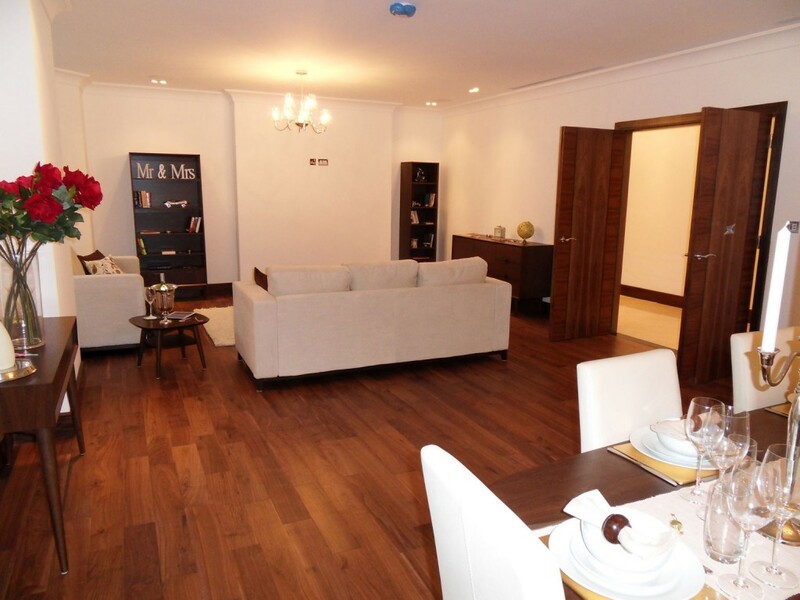 Having been commissioned to fit out a high end apartment block where wood veneers featured strongly, Genson was seeking a reliable partner to deliver on a large quantity of fittings, in a short time frame. 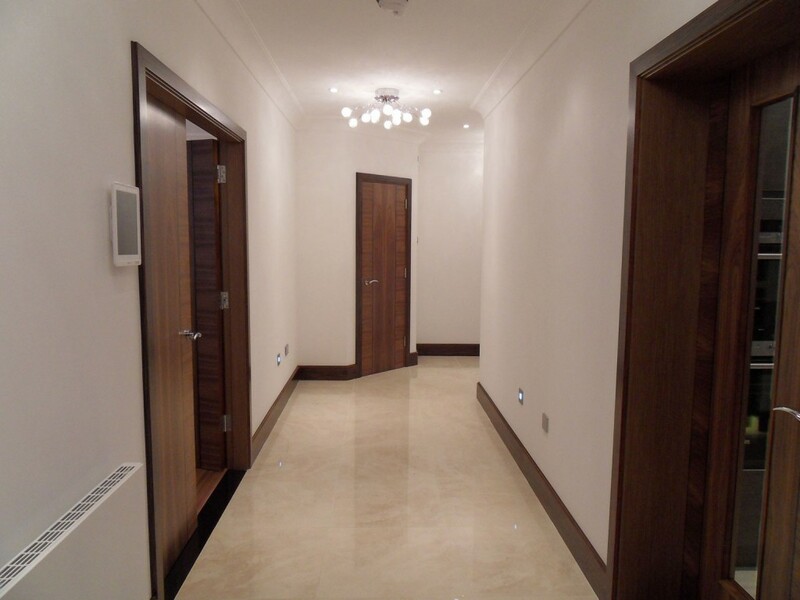 Read Veneers took on the challenge, which demanded bespoke veneered doors and fittings for 164 apartments. 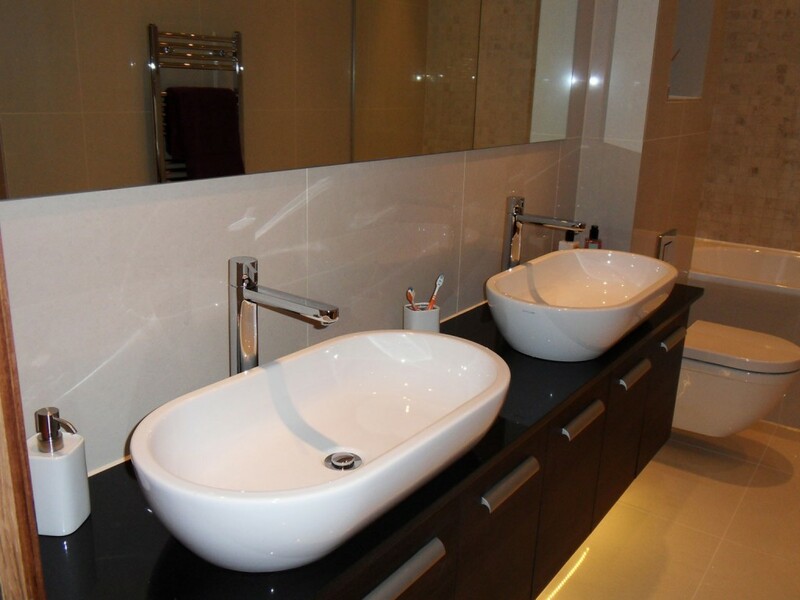 Attention to detail was of the utmost importance on this project as the apartments were to be of a very high spec finish. Matching veneers for consistency was part of our job, and you can see the result in the photos. We worked with American black walnut which we crafted the FD30 fire doors from. ALPI walnut was used for a slick finish on the door stops and liners. For the skirting and architraves, we also used ALPI veneers, and each piece was custom cut and lipped, with all the tailored detailing being carried out on our CNC. We also lipped the bespoke veneered fire doors for a perfect finish. Everything was turned around within the required timeframe so Genson could stay on schedule with their works.